Camping is perhaps the best way to enjoy the wonders of nature and effortlessly partake of the warm hospitality of the inhabitants. Travellers can carry their own gear along or opt for any one of the several organized campsites pitched in various parts of the State. Other than the comfortable accommodation, facilities and services, most campsites offer catering, and a variety of activities such as hiking, fishing, nature tours and rafting. 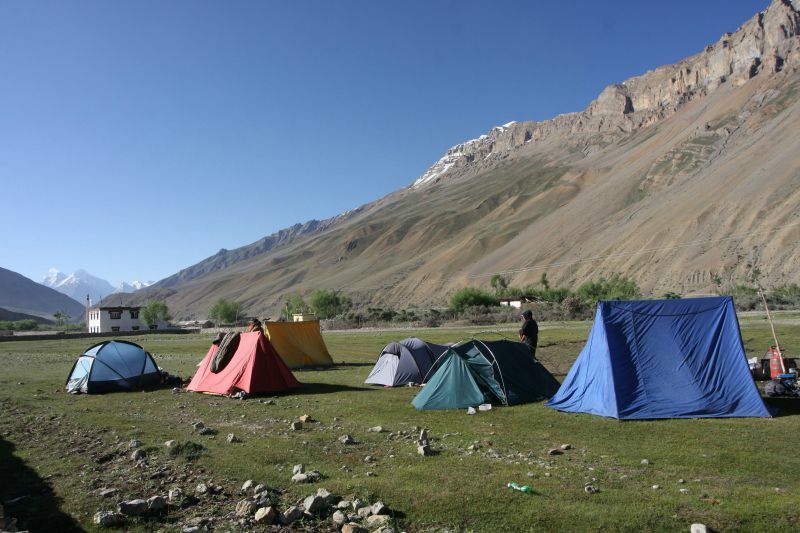 Himachal Pradesh Tourism and Private players in the industry have adventure camps set up in places like Sarchu in Lahaul, Dalhousie in Chamba, Barog and Chail in Solan, Sangla Valley and Kalpa in Kinnaur, Tabo in Spiti, Al Hilal (Taragarh) & Dharamshala in Kangra, Shoja and Kasol in Kullu valley and Mashobra, Baldian and Narkanda near Shimla.